Have you ever noticed that most of the people in history who have made the largest or greatest impact for positive change in society have been very humble. And on the other hand those who have left a legacy of destruction and pain have been very arrogant. In today’s society, generally humility is seen as a weakness rather than a strength. Perhaps it is because we have misunderstood what humility is. Humility has often been perceived as submissiveness, suppression or defenselessness. However when humility is understood from a spiritual perspective, it is the portal through which the soul steps into greatness. As Ghandhi once said, you come closer to the great when you are great in humility. I can only be humble when I am secure in myself of who I am. I donot desire or am not dependent on how the world perceives me. I am secure in myself. In this state of being, the humble soul will never feel the need to force, control or please others. A humble soul can stand and be totally transparent so others can see. Most importantly a humble soul will be considerate of others and naturally have deep respect. They treat all live with an attitude of sacredness. When there is humility, it inspires and nurtures creativity, co-operation and trust. 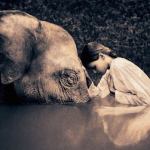 Humility is a very constructive energy that nurtures life on the foundation of love and truthfulness. Arrogance uses force, and ultimately is a very destructive attitude – it ignores the very sacredness of life and breaks down relationships and human connectedness. It runs on false power. 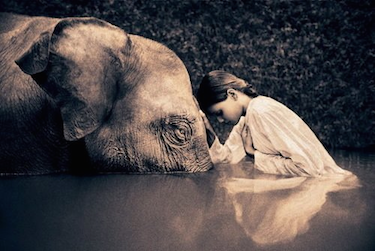 Humility is the portal that enables the soul to reconnect and allow closeness to the Divine. The humble soul will always feel protected and anchored in higher values. Humility protects the soul from self deception, keeps the heart clean and the mind open to learning and growing. As we approaching Easter, the soul of Christ embodied humility and so drawing on that example it is helpful to create a personal focus on this virtue.